Toronto, Canada– The RINJ Foundation Women, who have often fought for the rights of unborn children, are furious at the US Government which the group says has just vigorously attacked the entire realm of Universal Reproductive Rights. In a statement released from its web site (Read USA Bombs Wombs Too) and in speaking engagements around the world, The RINJ Foundation explains that not just in the United States but around the world, by pulling funding from NGOS that provide free contraceptives and family planning counseling globally, the United States is encouraging, and even forcing an increase in abortions done solely for the purpose of birth control. 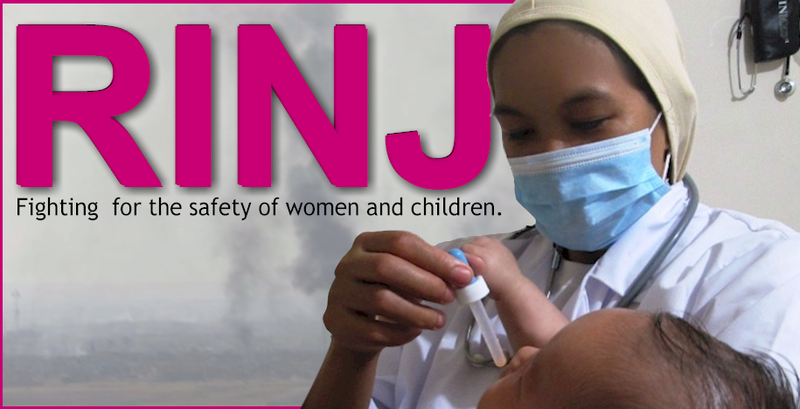 In many of its publications, The RINJ Foundation Women urge all women around the world to use a form of contraception until such time as partners have reached an informed and responsible decision to have children. fight for the safety of children and their families. “There is a growing disgust with America that is spreading like wildfire,” notes Santiago. “This has an enormous impact on women and children in South East Asia where women have been abandoned except for a few NGOs which now have lost their funding. Fortunately even President Rodrigo Duterte, The Philippines’ self proclaimed Misogynist-in-chief” understands the problem and is supporting free IUDs for women and in general he supports reproductive rights and family planning . “Christian and Muslim religious fundamentalism and political quarrels between power-greedy men who never changed a diaper in their lives, is blocking human development all across the world,” she added. With readily available contraception, the debate over abortion is simplified. “Abusing induced abortion and turning it into a method of birth control murders a child and changes the health outlook of the mother. Modern medicine and medical equipment can care for a baby outside the womb at a very early age. That ability improves continually. Don’t assume anything. Ask your medical practitioner. Only they should be helping you with decisions about your pregnancy, not legislators. If that is untrue in your country it is time to vote for change” says the RINJ women.